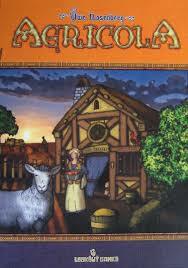 For fans of the Agricola board game there are several resource Tokens sets as extras available for this game made by a third party, Mayday Games. Where these can all be used for other euro board games as well – like Stone Age, Kingsbury, Settlers of Catan and Le Harve. We like using resource tokens as they help bring a game more to life when playing with friends. Instead of using cubes and discs to represent animals, vegetation and building resources you can now use these deluxe resource tokens. This we find makes games much more visibly appealing and more tactile helping to bring the game more to life. 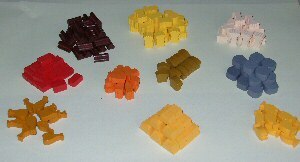 An additional 196 Tokens – Veggiemeeples (carrots and grain) as well as reed, brick/clay, wood, stone/ore, gold, meat, fish and bread Tokens. Plus many more applicable for other euro games. The box itself is a deluxe wooden box – 24cm long by 15cm wide by 6.3cm high. We’ve even been able to get the box to fit inside the Agricola box, just! Don’t need such a comprehensive token set as the above (with Agricola now including Animeeples) or the containing box – Mayday games have produced this deluxe token set primarily for Agricola. This set can still be used with many other Euro games. This set allows you to replace the cubes and small discs representing building resources and crops with deluxe tokens – clay, reed, wood, stone, wheat, gold, carrot, bread, fish and chicken leg food markers. 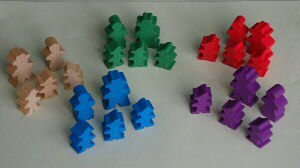 This set allows you to replace just the family members’ disc player markers with wooden meeples. They come in 5 different colours – Purple, Red, Blue, Green and Natural. They’re shaped as a Farmer Man, Farmer Woman and 3 Farmer Children with them being sized in that order. 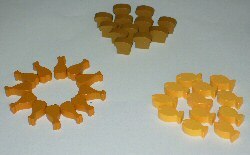 Only wanting to upgrade the crops, no problem this Vegimeeples token set contains grain as yellow tokens and carrots as orange tokens. For those with an older Agricola set that didn’t come with animeeples then this is the set for you – containing sheep (white), pig (black) and cows (brown) tokens. Lastly this set is for those justing wanting to upgrade their food markers with tokens or wanting more of them – bread, fish and meat tokens. 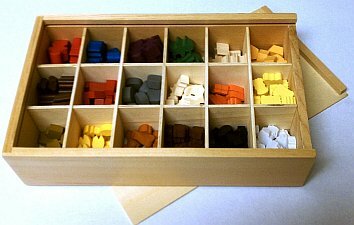 Need tokens for other games then check out our complete selection of wooden resource tokens here. Not seeing it contact us as we may be able to source it. 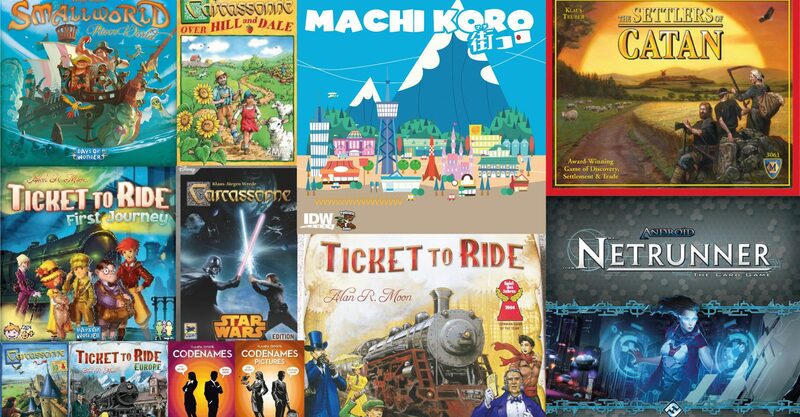 For the latest board game news and releases follow us on Twitter and or Facebook. Plus you can subscribe to receive our latest blogs via RSS feeds.